The BAUM 15 2nd Station right angle folder offers more folding capability for more than just right angle folding applications. The robust designed unit can be added to the BAUM 15 1st station parallel fold unit to perform right angle cross folds. 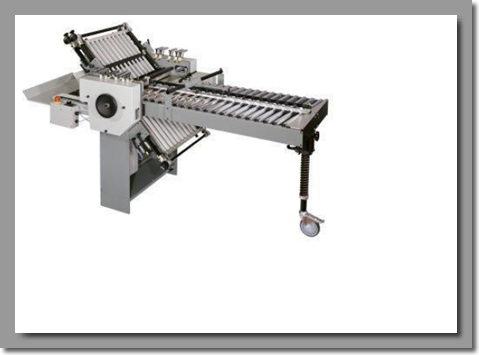 The BAUM 15 2nd station can also be placed in tandem, in a straight line, to perform more complex roll and accordion folds when more parallel folds are needed that the 1st station folder cannot provide.